Weatherproof plastic with Black UV protective coating. With the Paradise GL33120, your outdoor options are endless. 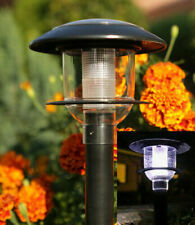 Works perfectly inside a garage or behind bushes, it is weather resistant. Housewares And Gifts. 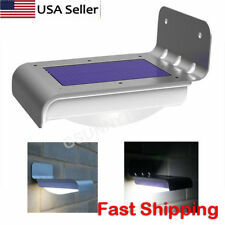 154 LED Solar Light. It can convert up to 24% of the sunlight into electricity energy. really energy saving, no need electric bill. 3 lighting mode at your option. Long Light Mode, Dim Light Sensor Mode, Sensor mode. Working mode:Infrared sensor. Power Source:Solar. Solar Cell Type:Lithium Battery. Solar panel power:5.5V, 0.55W. LED:20pcs Lamp beads. Color temperature:6000-6500K. Protection Level:IP65. Light Source:LED Bulbs. 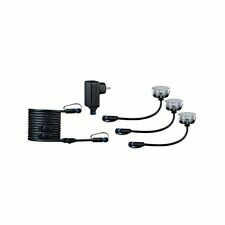 Set of 20 - 45mm Stainless Steel IP67 Cool White LED Decking Kit with Dusk til Dawn Photocell Sensor. 1 x IP67 Dusk til Dawn photocell sensor - 30 lux on 30 lux off - this will turn your LED kit on when it is dark and turn it off when it is light. Perfect for large sets of Christmas lights and decorations. 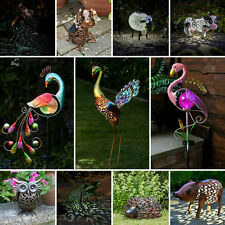 Made for use outdoors with weatherproof plastic and UV protective coating. Rated at 50 Watts. Flashlights / Lighting And Supplies. Watts: 50 watts. Farbe: anthrazit. Sockel E27. Quecksilbergehalt der Lampe 2 mg. Aufwärmzeit (60 %) 40 sec. Anzahl der Schaltzyklen 5.000. Lebensdauer 10.000 Std. Lichtfarbe: 2700 K / warmweiß. Energieeffizienzklasse A. Appealing Dancing Flames -- Special flickering flames design, appears to be realistic flames; Warm yellow colored light with lattice design cover, creating a pleasant ambiance.IP65 Waterproof -- Waterproof and durable, withstand all kinds of weather all round the year, which is suitable for outdoor use.Energy Saving -- Solar powered LED lights with built-in high capacity (2000mAh) and rechargeable lithium ion battery. 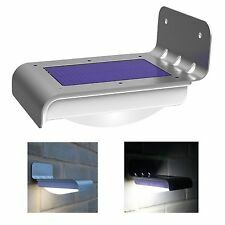 No need electrical power, just put it under the sunlight to absorb solar energy.Dark Sensor Auto On/Off -- Dark sensing, automatically turns on at dusk and off at dawn. No need to turn it on/off by yourself, which brings you convenience.Easy Installation -- No wiring required, simply install it anywhere you like and enjoy the warm flame light. .
960 Lumen! 2200mAh! 5 mode! Fast shippin! Free return! 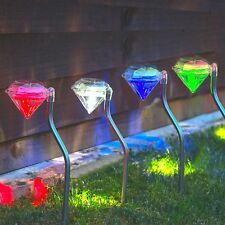 • Outdoor Spike Light. • Pre-wired 50cm Cable included. • Adjustable Head. • Made from Aluminium. • 1 X GU10 50W Max (Not Included). 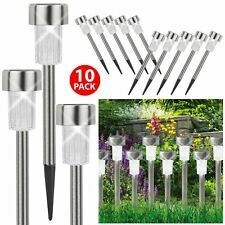 Gartenleuchte, Wegleuchte Edelstahl-Gehäuse und GlasabdeckungenStrahlereinheiten variabel ausrichtbarSchutzart: IP44 (Spritzwasser-Schutz)Spannungsanschluß: 230 Volt, 50HzFassungen: 2xGU10geeignet für Leuchtmittel der Energieklassen A - A . This high quality fixture would be a welcoming addition to almost any landscape, perfect for highlighting and decorations, as well as illuminating pathways. 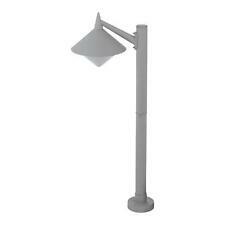 Include LED 2.5W 3000K Warm White Lamp. Material: Brass. 1001492715 Country/Region of Manufacture: China. Hampton Bay. Item specifics.